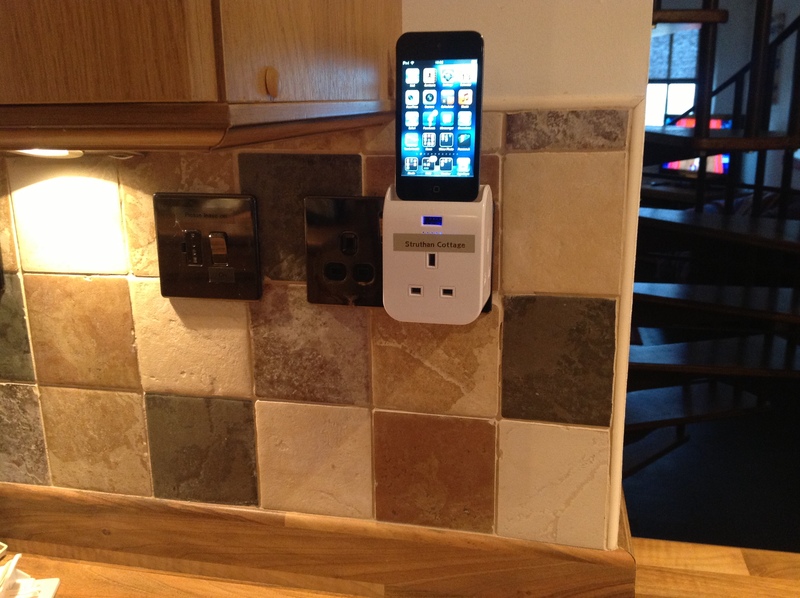 In recognition that many people now have ipods and iphones, we’ve installed a couple of charger points at plug locations around the cottage. This simple device plugs permanently into the electrical socket and all you need to do is sit your ipod or iphone into it to charge it! Handy, if you forget to pack your chargers! This is in addition to the music system in the living room which allows you to play your music in a docking station, directly from your ipod or iphone. It also has a USB port to charge any other device. Of course, if you don’t have an apple product, you can still play the radio or cd player with a decent selection of CD albums in the cottage. Ideal for chilling out on Summer evenings. Another example of keeping technology in the cottage up to date and with you in mind at all times!